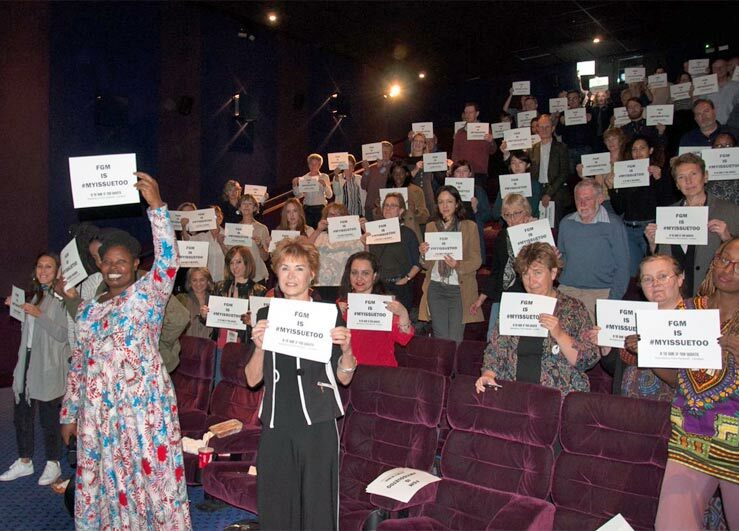 In The Name of your Daughter, the film about the work of the TDT-funded anti-FGM Safe House at Mugumu played to entranced audiences at the Raindance Film Festival in London on 4th and 5th October. The documentary follows the work of Rhobi Samwelly, rescuing girls from the threat of FGM, educating communities and schools about the scourge of FGM, challenging the cow-based dowry system that values ‘cut’ girls above uncut girls, and trying to reconcile girls with their families after the immediate danger of the ‘cutting season’. The practice of FGM is illegal within Tanzania, but entrenched views and customs, and financial interests, mean that certain tribes still practice it widely. An impressive feature of the film is the commitment that Rhobi has managed to encourage from certain police and legal officers. But to be sure, Rhobi’s mission is not without its dangers. No-one who watches this film can fail to be moved by the fear of girls facing FGM, unable to trust those who should be caring for them. Equally, however, all will be uplifted by the spirit of the girls, and the determination of many to pursue studies and realise their dreams. In addition to its anti-FGM work, girls’ education is one of TDT’s focuses. Important: please mark your donation ‘For Rhobi’ in the Comments box.